SHARED LEARNING CARRIES on after a session finishes and splitting the cost offers maximum return on investment because the instructor can rotate between participants, while individuals practice. 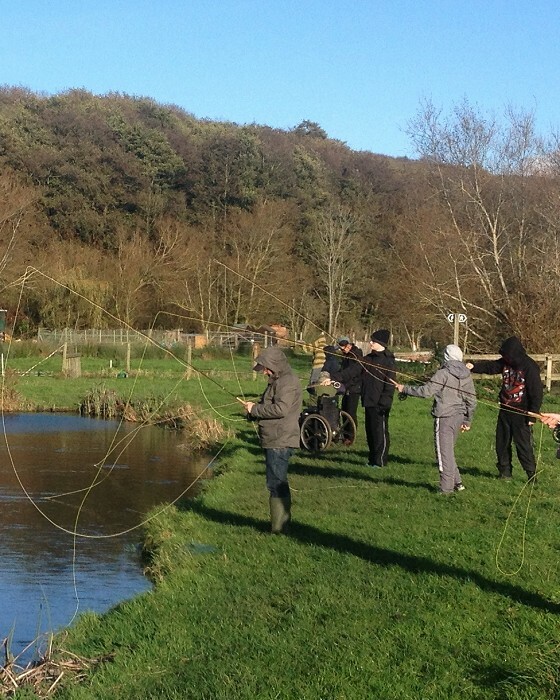 Fishwish has a superb and well documented history of group activities and courses for all ages and ability. A mixed group allows leadership, rapport building and team building skills to be added to the list of potential angling options. Sessions that are between 20 min – 2hrs are limited to locations where coaching already takes place and are subject to availability. The most popular duration is a half or full day, but 12-24hr night fishing sessions are also available. All necessary equipment, permits and tackle is provided by the insured and licensed practice of the lead coach, who will provide options so emphasis can be placed on the values exclusive to groups work: Competition; Team Building; Micro Coaching; Relationships; Experimentation etc. The optimum size of group for technical development requires a ratio of one coach for every three participants, but a significantly bigger ratio can be offered to adults or adult supervised groups wanting an activity day. Maximum group sizes are dictated by the needs of the individuals and preferred discipline, but typically range between 3 and 12 participants. Larger groups can be accommodated but may require greater notice and lead-in time. Example costs can be viewed here. Example costs can be viewed here.